La Dolce Vita ("the sweet life", or "the good life") is a movie filmed in Rome by Federico Fellini in 1960. It follows the life of a journalist working for gossip magazines during seven days and nights through Rome in a fruitless search for love and happiness. 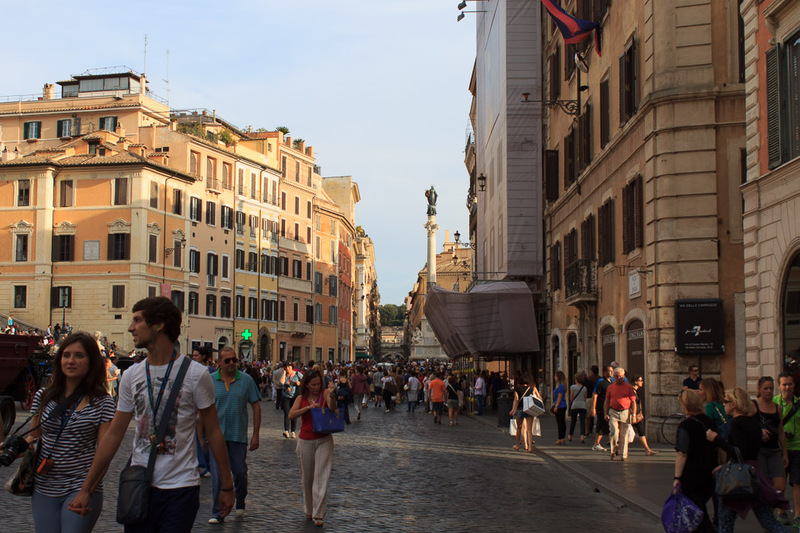 Naming it after the movie, Rick Steves has named the nightly walk from Piazza del Popolo, down Via del Corso and up Via Condotti to the Spanish Steps as the "Dolce Vita Stroll". It takes place from about 5 PM to about 7 PM every evening (except Sundays, when it is earlier in the afternoon), but is best on Friday and Saturday evenings. 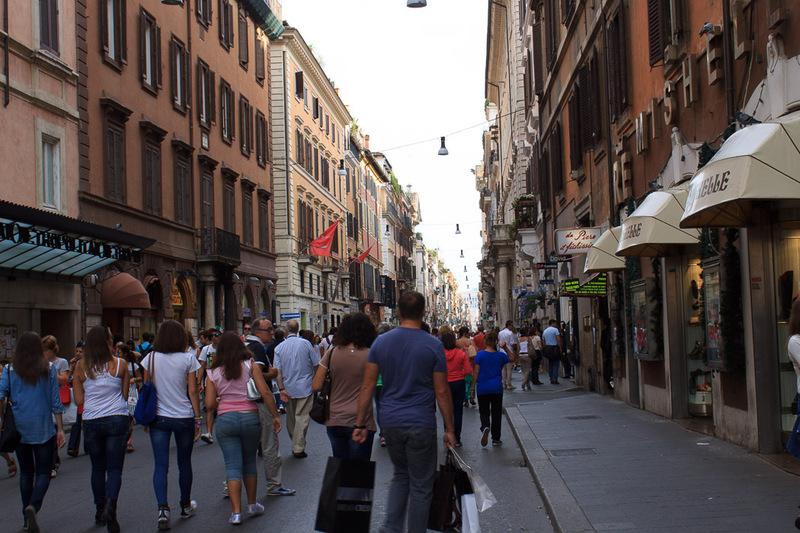 As you walk with the crowd through the shopping district you'll see all types of people enjoying the sweet life of Rome's early evening. See all La Dolce Vita Stroll photos.